Another spectacular T42 for all involved! I'm a huge fan of this event and greatly appreciate all the hard work that the team at Total Sport do to put it on each year. Honored and privileged to be invited back to defend my title, thanks as always to Aaron, Nic, Cam' and the team, the volunteers and marshals, Allan Ure, DJ-random-moment-Jono and of course the hard working team behind the bar at the Park travelers lodge. 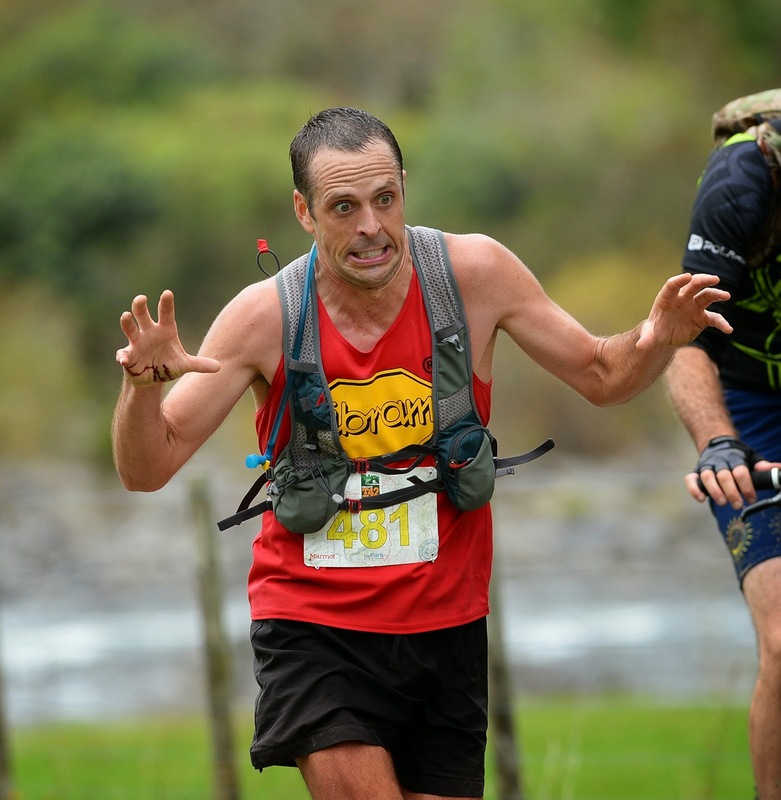 2014 was my 3rd running of the 42km trail marathon course, the event now in it's 5th year since inception. 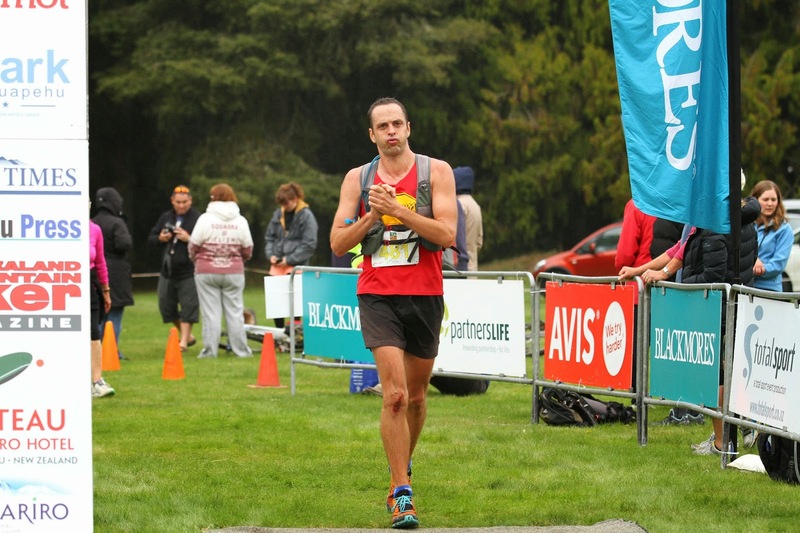 It was always going to be a little quiet given the unfortunate clash with Rotorua Marathon. All the same a hardy group of trail-junkies were assembled at the race start in mild conditions for what would certainly be an entertaining days adventure. The assembly of runners, as always, filled with a mix of competitive and social athletes, many of whom were in attendance for their 1st time. Ruby Muir on the long comeback from a series of setbacks would likely eclipse the reminder of the womens field however she wouldn't be unopposed with 3hr marathoner Kirsten Milne ever-present. My race was no sure thing either as pretenders to my throne Lucas Duross and Kristian Day had made the trip over from Hawkes Bay to test themselves against one another as is fast becoming their Modus operandi. The trail rolls gently across an entirely runnable 4wd track and terrain represents no real obstacle to speed or endurance. Very little rain and cool conditions meant the course would be mostly dry with minimal resistance to fast footing. I went to some lengths to make it hard on myself though wearing near-treadless Inov-8 F-lite 232s. A choice I would only regret on occasion as I skidded across slick trail made muddy by the passing of some 300 mountain bikers. Through the 1st 2km I kept a steady pace with Muir and Kristian close-by. Slightly faster on the flat sections I found the lead early. 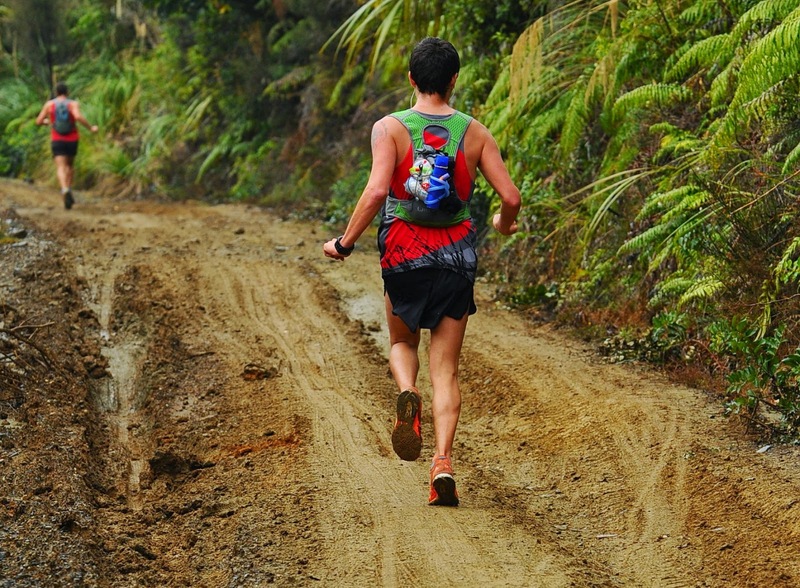 Knowing their comfort in descent I regularly looked back in wonder as to why my easy pace was not being challenged. I could hear Kristian singing so knew I wasn't miles clear. For the 1st half of the run I really held back looking to do as little as possible to remain in front. Not surprised when at around 20km I could hear a clear "Wohoo!" from Kristian as I navigated the river crossing which signaled the end of the mostly downhill 1st half. I hadn't been looking forward to the long ascents that followed the halfway mark however I found myself climbing really comfortably. A very welcome surprise which indicated my strength was well aligned with my aerobic fitness. Sharing the trail with mountain bikers now I had the opportunity to meet fellow eventers and even got to show off my acrobatic skills as I fell hard tripping over nothing at all to graze my hand and knee. Pretty sure this was in the exact same place as last year I cursed my lack of attention and inability to recover from what should have been a minor stumble. I was now fully awake. The kilometers ticked by and with 20 to go I asked my legs how they felt and they responded with "brand new, thanks for asking". A good place to be and likely an accurate measure given the reservation I showed in preceding run. Given my freshness I suspected no course record would be had today. Rot eventually seeped in and I lifted the pace from 15 out however anything other than a gradual descent would prove somewhat taxing. My left calf was hurting but I tried not to focus on it least I made it worse than it actually was. It would later prove to be calf strain which leaves some dark clouds on the immediate recovery and training plan. Pushing up the final climb to cross the line 2:57 I was glad to sneak under 3hrs and win for my 3rd consecutive year. Some 5 minutes slower than last years record time probably a reflection on reduced training mileage, excessive carb-loading and the steady start to the run. 10 minutes later it was Kristian's turn to bring a niggle home nursing quad pain but happy to be in ahead of his main competition Lucas Duross. Lucas who would eventually emerge 4th having a lengthy battle with triathlete Jamie Whyte. Muir dominant as always comfortably securing the woman's win in a time of 3:15, 15 minutes clear of Kirsten Milne who spoke fondly of the course, the fun she had and how better it was than running on the road around a stupid lake. 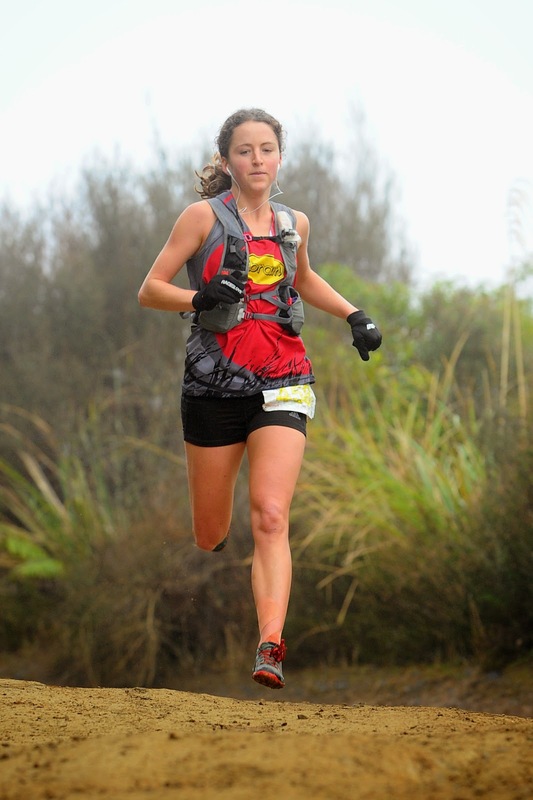 More pedigree in the 24km trail run with legend Annika Smail taking the win with Waiheke's 'Gonzo' Clarke ahead of veteran Marc Scott in the mens field. Marc's son securing the 11km win and rounding out a successful last 6 months of trail racing for the young man. Certainly an aspiring athlete to watch. 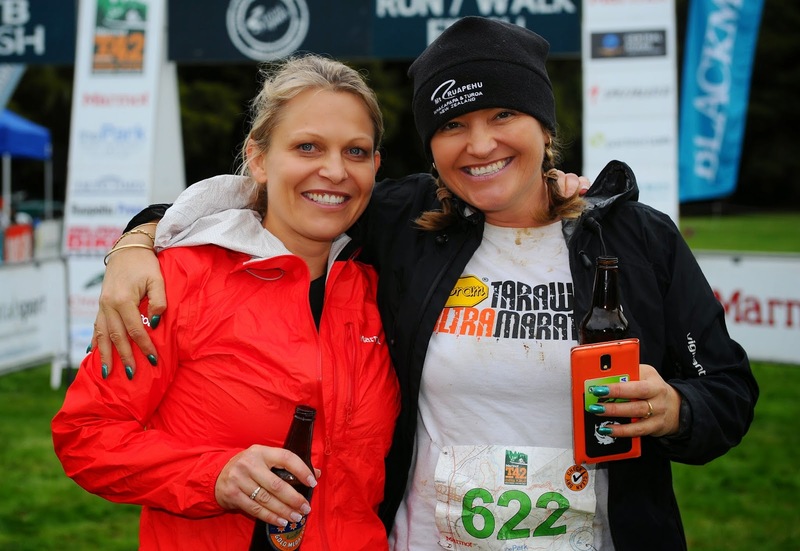 T42 is one of my favorite races but not solely for the race itself. 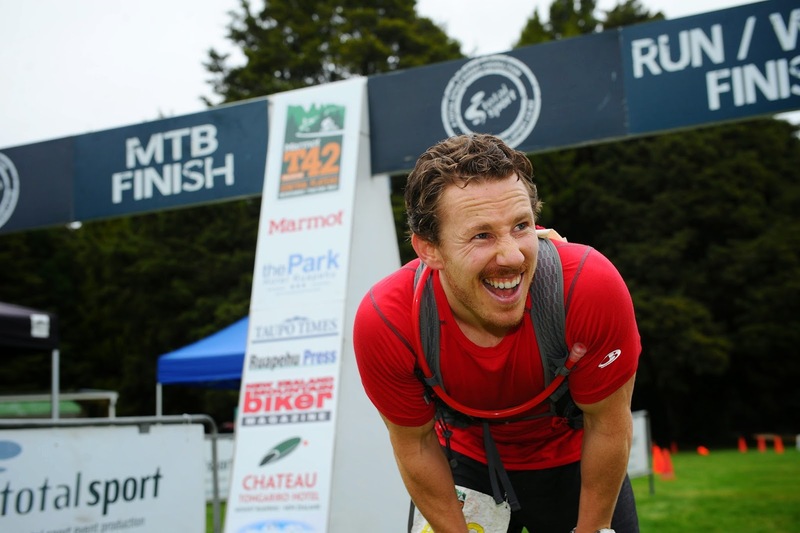 The trail is generally fast and a net loss of altitude lends itself to a quick marathon, however, my attendance and support is testament to the sum of all it's parts. 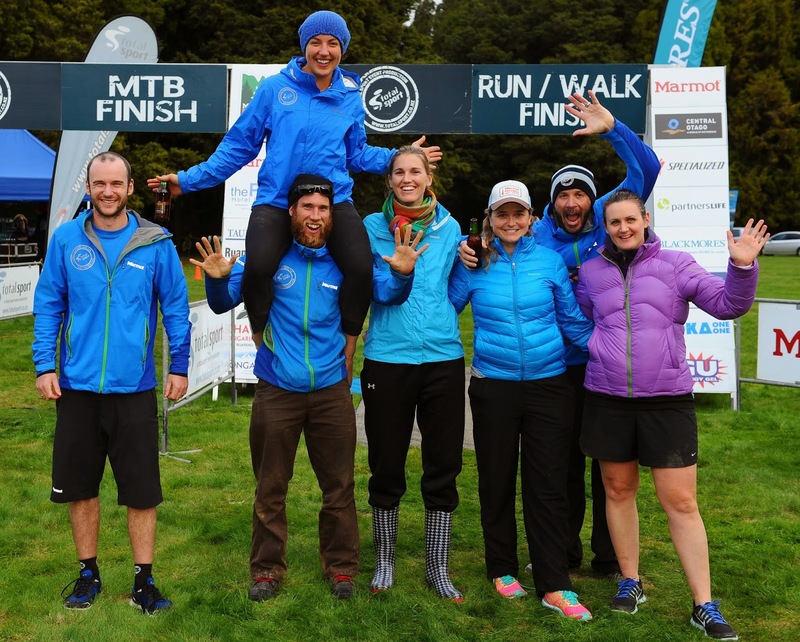 Total Sport do a spectacular job of hosting this event, from the polish of build-up and registration, through to the bustling finish at the Owhago Domain. Certainly worth mention is the evenings festivities following the prize-giving, making for a fun and rewarding weekend with perhaps more exuberance on the dance-floor than the adventure that preceded it. The camaraderie of mountain bikers and runners evident in shared war stories over many too many drinks and shenanigans that go well into the early hours of Sunday. I've said numerous times I'd like to not defend my title and have a year setting my sights somewhere else but I awoke Sunday morning with firm enthusiasm and the knowledge that I will certainly be back for more. Thanks so much to continued support from Dylan and the Vibram/Barefoot Inc team, great seeing so many of you in attendance. Gayle, Shaun, Carl (bestme), Dawn, Kristian, Ruby, Leah and everyone from the Natty Park enclave. Cracking results and strong moves lads, love your work!